Hello from your friendly local photographer, it's nice to meet you. Now buckle up, because I've got a lot of things I wanna say to you. If you've ever logged on to any social media platform, watched the news, read a blog, or communicated with the outside world, you've probably heard people say some pretty harsh things about your generation. They'll tell you that you're lazy. You're entitled. You're too sensitive. You're attached to your phones, you're underachievers, you're all snowflakes. Quite frankly, I think that's all a bunch of garbage. I see so much potential in you. I see the way you care about things, and I see you trying to make a difference. I see you out in the world making waves. The sensitivity you're ridiculed for isn't a flaw; it's compassion. It's being soft with people who need your tenderness, and tough when you're seeking justice. We're living in...interesting times. Like, truly terrifying - but there's also an underlying hopefulness that things just might be progressing. To watch a group of young people engage with their culture + get involved in change and activism is inspiring, to say the least. I wish my high school self could have done even a fraction of what you're doing, so I wanna encourage you to stick with it. What are the issues that affect your community? Where can you give your time and energy? Keep caring, keep engaging, keep pushing back. I wanna build up the students who are working to build up their communities, and I wanna get my hands dirty and work right alongside you. If you (or someone you know!) is giving their all to create diverse spaces, be an ally, practice inclusivity, fight for marginalized folx - I wanna meet you. 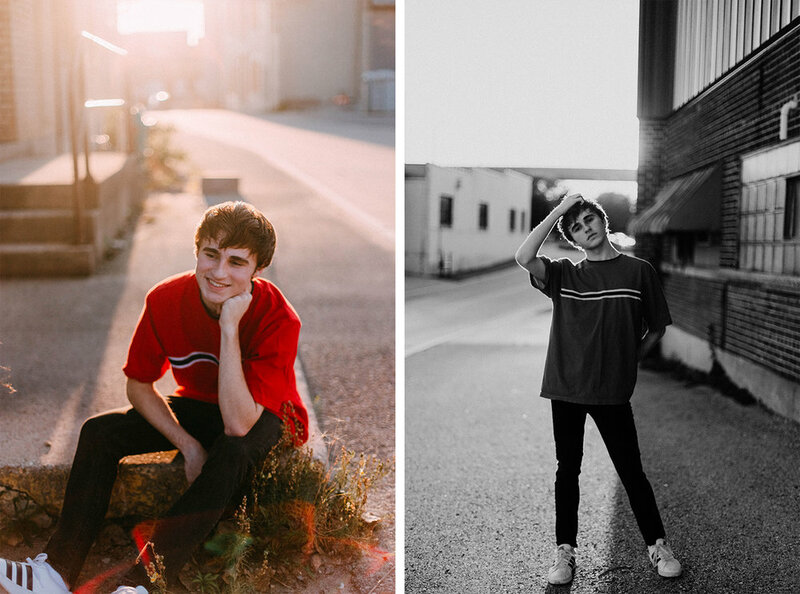 This year, I'm giving three senior sessions away to students who are giving back. Beyond just photos, I'd love to hear about your heart + the issues you care about, and then I want to get involved too. (Wanna create a fundraiser? Make a video? Go to a protest? Let's do it.) If you want to apply or nominate someone for a session, please fill out this form! Winners will be announced on March 30th, and then we'll start planning something perfect just for you. I'm so. dang. excited. to meet you.